This tutorial teaches you how to use GameGem step by step and some additional operations . This tutorial is mainly about accurate search. 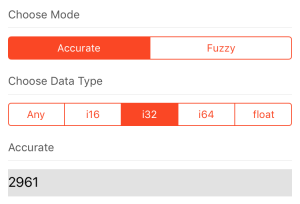 If you need to see the method of fuzzy search, please click here [ Fuzzy search tutoiral ]. You can check introductions and overview of GameGem here :[ Overview ]. Send me error log if the scan service keep crashing. GameGem needs to be connected with the internet to download some configuration. If you blocked the internet access, you won’t be able to use GameGem. 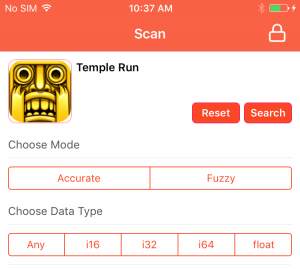 GameGem will check the configuration settings when you tap the “Scan” tab. If the configuration checking failed, you can’t start the searching. You may try to reboot the device. OK! Let’s get down to business! First, open the app you want to modify and try to get some values. For example, if you want to change the score of a game, you need to get some scores first. Here, remember the number “2961” which will be used later. Open GameGem and choose the process you want to modify by tapping the square on the top left. Then you will see a list of running apps. If GameGem can’t connect to the scan service, there will be nothing. Click the “Search” button and just wait until GameGem finish the processing. When the searching is complete, you will see the results. Maybe there will be lots of matched addresses. When the number of the matched address is less than 500, the button “View” will show. Tap the “View” button to check the results. 1. Do not close GameGem, use the Home button to go back to the game. 2. Play the game until the data we need changes. 3. Go back to GameGem, put the new data into searching value area. 5. If the result is less than 500, you can view the results. Or you have to continue the step 1. Suggestion: To filter unmatched addresses as much as possible, you need to keep repeating the above steps. Click the button ” Modify” in the bottom. Check the message in the bottom. 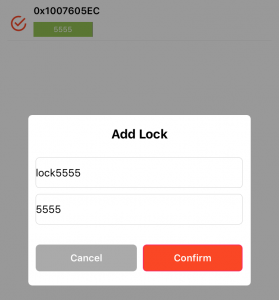 If you want to add some data into the locking list, you can click the “Lock” button. 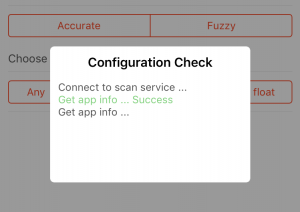 Similar to “Modify” the result, input the information, and then click “Confirm”. You can manage the locking items in the Locking list. Click the “lock” icon on the right top of the scan page then you will see the Locking list. In the locking list, GameGem will load all locking items. The green “ENABLED” means the item was enabled, and red “DISABLED” means the locking item won’t affect the game data. The bottom of the area is the control panel. “Enable” can enable the selected items. “Disable” can disable the selected ones. And “Remove” means permanently delete the items. GameGem will create some cache files and these files may take up some disk space. In most cases, GameGem will automatically delete these files. However, in some cases, such as when the program crashes, the cached file may not be deleted.Each time you enter GameGem, it will automatically clean up when configuration check is complete. 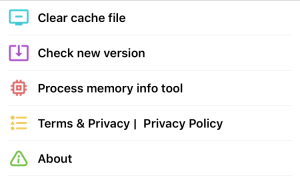 If you want to delete the cache files manually, just enter “More” page , and click on “Clear cache file”, then wait for a while and all things will be done. But please do not to do this during the search. Doing so can cause search result errors or GameGem crash. If you still have questions, just leave a message in the comments! iPhonex and ios11 not test yet. I’m trying to find some device to test it, but its not easy. Thanks very much. But i can’t debug this app remotely. I’ll try to find a iOS11.x device. I Jailbreaked with Electra B11 without cydia. And it failed to connect to scan service too. Please wait. V1.3 has been submit to thebigboss. Just wait the review complete. Now it won’t find any values. This doesn’t work. Everytine i open the app and it tries to connect with the server, it fails to connect. I tried rebooting and reistalling the app but it nothing helps it. May you pease help me? Also, why did you switch the app to require server connection? Can you please tell me your Device and OS version. We put some configuration file on our server, so GameGem need to download via internet. I will try to fix the iOS 11 sever connection error asap. Be patient guys! I emailed you couple times. I am using an Iphone 8 ios 11.1.1. I have reinstalled gamegem several times and still get server connection error I hope you can help all of us. Thank you for your hard work. Will you also be adding speed optimization like the previous version? V1.3 with a fixed is in review. Hey thank you so much for updating GameGem for ios 11!! Now theres a bug when go o the scan tab it says that it failed to connect to the scan service and you can’t select processes. Fixed in v1.3. Please try again later. A new version is in review now. V1.3 has been submit to thebigboss. Just wait the review complete. There is a bug and now I’m fixing it. Just wait please. Sorry for that, but i dont have a 32bit device. I’ll try to find one. Great! Do not forget to click those ads then I can buy a coffee to continue this! Thank you it worked for me as well. So is gamegem server side now. It won’t work if you’re not maintaining the server? Cause it does configuration check. Don’t worry. I will continue maintaining the server. I tested just now and it can find the address. Dont use any data type. Hey bro, it doesnt work. It keepa saying total matches 0. And if i dont use any data. It gives the message you have yo use data type. What device are you using and what is your ios version? Could it be because cydia doesn’t have the real susbtrate? Cause it’s made by coolstar? Speed Modifier isn’t added yet? I all data type: any, i16, i32, i64, float. But again error. Well, I’m in iOS 11.1.2 in iPhone 6s. GameGem keeps getting 0 total matches in any app disinclude GameGem, please fix it. Tested on Mortal Kombat X and first scan i get 0 matches. If i scan again i get “Error searching, Configuration error.” But configuration check works fine. I installed your update, you fixed the error “Failed to connect scan …” But now does not look for a game currency. What should I do? Gamegem can now connect to the server but no search results come up. Could you please remove this server. It seems like the only problem here. GameGem is a loved tweak by many but with the recent changes it has become unfunctional, I personally thank you for your hard work and for updating it for ios 11! The old version was much better and simpler to work with, maybe removing this new server you’ve added will fix all the errors people are having. You can check r/jailbreak for the bugs people are having maybe you can fix them. This version isn’t supported speed optimizer ??? Hello, im excited and thankful for gamegem however every time i try to search a result , it say 0 matches.. i was wondering if this is going to be fixed or am i doing something wrong. Thank you in advance. I’m on 1.3 and GameGemiOS doesn’t show any data i hope you can fix it soon. I just wanted to ask also. Why the server? Not trying to be mean, I live your work. I’m genuenly asking, why the server? What does it do and why is it needed? Why not add it ? I have iPad Pro version 10.0.2. Mine always finds 0 results and then states “configuration error”. Old version worked perfectly for my iOS. Could you please make it possible to downgrade? Hey uhm I’m running iOS 11.1 iPhone 8+ when I check for results it shows 0 matches for all the games I’ve tried but game gems shows everything is okay .. but some how it doesn’t show any game results !!!???? Install the old version and wait the new one to be ready . Are you going to be updating it again today? I’m on ios 11.1.1 Iphone 8 currently using version 1.4 of gamegem. However, when I try to search a value for temple run it still says “total matches 0”. I think having it on a server is the problem. Thanks for always updating it. So, we always need internet to cheat an offline game? 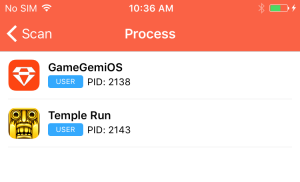 I am on Electra IOS 11 Jailbreak and i’m currently trying to use GameGem. I have tested Call Of Duty Heroes and Need For Speed No Limits. However, everytime I tried clicking the “search” button after I’ve put the value in and everything like that. It comes up with “Total Matches: 0” I have tried changing things Round, searching it up on the internet and can’t really find anything. So I was wondering if you can help me please? Thanks! Everytime I download the old version of gamegem, it crashes(I’m using the .deb files you posted on github yesterday and using filza to install them). I really don’t like the new version in it’s current version. How do I rollback to 1.1 without it crashing. Maybe the scan service crashed. (If GameGem is checking configuration for each search, this means scan service crashed. In this case, please send me e-mail to tell me the device and OS version.) This is my prob. Sorry for the comment anterios, if you want to delete, I had not read that you were working on GameGem during your free time. I don’t know how to update the GameGem on ios, can you help me ? I have an iPad Pro with iOS 10.3.2 jailbroken. The app works fine, it connects to scan service fine, but when i search for a value on a app, it always can’t find any value and it says “Total matches: 0”. Can someone help me? Tried version v1.3 and v1.4. Back to v1.1 and search is working again. configuration. The network connection was lost. Can not work in iPhone se. I can connect to server,but i cannot Search for data.If i try it again,it will show”Configuration error,Need to reconfig”. On iOS 9.3.3 not working for me. When I connected to the server, I choosed the game and I try to search a value with i32 selected, it always says 0 results. I tried with a lot of different apps, read the tutorial too, but it never finds my value. I’m currently running iOS 10.2 on an iPhone SE jailbreaked with yalu. Could u maybe fix the issue or I am doing simerhing wrong? And btw love ur work. I have an iPhone 5s running iOS 9.3.3 and jailbroken when I try to search for number it says configuration error need to reconfig. I am on an iPad 3 running iOS 9.3.5, and when I launched GameGem, it crashed. However, GameGem does not crash if I open it in Safe Mode. Even when I am running it in Safe Mode, I cannot connect to the server, but I have a stable internet connection. Please make the v1.1 support iOS 11. I have sent error log. Still 0 match bug on iPad Pro on iOS 10.3.2. I can’t report this bug from the app because report error says “no error”. How can I report this? Please fix these bugs. I’m dealing with the same problem as you. Yeah! I’m on IOS 11.1.1! and it didn’t work! but i found the solution! Do not close the NewTerm or connection and open GameGemIOS and do a Search! Says zero matches any help? Why do I still keep getting 0 matches!? Even after the update! 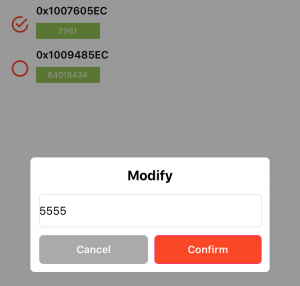 The last version 1.5 has fixed many errors, now what you need is to put the normal keyboard instead of the numeric keyboard, so you can modify values ​​and put them in negative because even if you copy the sign “-” it does not work and lastly add a button to select all the values ​​that we want to modify. It say that I can’t connect to the server. Maybe it’s just my connexion, but… could you help? I’m on iOS 11.1.2 iPhone 6s Plus! when I click on search values ​​it always gives me the result 0 it is not working for min! I’m with version 1.5 GameGemiOS! Hey, i’m on ip6 iOs 11.1 and it worked. But, when i find the value and i modify, the result just appears for little time and gone. I tried to lock a modified value but the result round and round and i can’t use it. Please help me. Hi, I’m on iOS 9.3.3 and have version 1.5 of game gem. I tried doing accurate with all the data types but keep getting an error “Error searching, could not connect to the server” is there a fix for this? The new update v1.5 doesn’t fix the 0 result issue. I still get it. It will be come Update or nothing more ? There aren’t enough instructions for the newer version(1.5). When you modify the value then go back to the game, nothing changes. I’m buying coins and want to modify it so that when I buy the next amount, it will change to 9999999. If I currently have 7072018 coins, I enter that value in the Accurate Mode, then choose Any Data Mode, I get 1 result, I modify that result to 9999999 and save it with the success message at the bottom, I go back to the game and buy more do it activates, and nothing happens, I just get the amount of coins I purchased, and it doesn’t change to 9999999.
iPhone 8 Plus iOS 11.1.1 with GameGem version 1.5 is still saying 0 results when I search for something using accurate and i32. Even after resetting the process, it says it needs to reconfigure after searching for second time in a row. Not sure if I need to delete GameGem, reinstall it, and try again, but nothing has worked. I did realize I was using appsync Unified from someone other than original repo. Not sure if it made any difference, though. It’s still not working ughhh, 0 match and errors. Doesn’t work…Everytime I reboot,reinstall the app it doesn’t connect to scan service..please fix it soon.. Version 1.5 is not connecting with the server I have gone as far as to try an entire re jailbreak and I am having no luck getting it to work it worked once and then completely broke its self. Hey there, I have an iPhone 5c running 10.2 – whenever inchange values in Disney Heroes it reverts back on next launch. Any reason that might be happening? Is it working on ipad mini 1 on ios 9.3.5 i search for the value maybe 76 and it shows me 1867 matches i choose 16 bit . Hi! Thanks for making this awesome tool!! Any plans for 11.2-11.3.1 compatibility? Hay my iphone 7 ios 11.3.1 electra,still 0match and network connection error please fix? Every time I search for a figure it shows 0 results?? It’s not running on ios 11.3.1 !!! It works but it’s temporary you have to do the same steps all over on terminal if that maybe give you an idea of a fix ? What does this mean and how do I fix this error? You guys really need to update the app and fix it. I’m jail broken and I passed the configuration but still get 0 matches. I delete and redownload the app several time! So please fix it because it’s not working. Hello the speed optimizer is not working, how to fixed it? Everytime i press on search there are 0 Matches found. Can you please help me? iPhone X, iOS 11.3.1 user here. Looks like it’s not working for me at all. Hope to hear of some updates to the app for this in the future. Sir,Can you fix IOS 11.3.1 v1.5 search=0 problem? I am on iPhone X running iOS 11.3.1 that search failed when I played subway surf. How can I use gamegem without disabling the tweaks? Because I can’t use it when I enable the tweaks I get 0 results for everything please help!!! iPhone 8 Plus on iOS 11.1.1 with v 1.5 of GameGem still fails to show any results from the search. When I reset the search and try again, the connection fails and has to reset the configuration. I then have to choose the app I want to use in this and retype the value to search for, with no success. I would appreciate a link or something to an older version of GameGem, unless it’s something having to do with my phone that won’t show any results. Thanks! I am on iOS 11.3.0 and am jailbroken using gamegem. But when I search for a score using gamegem it always shows 0 on every game. 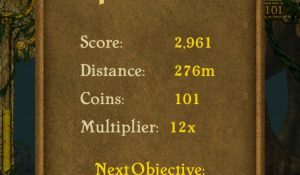 Even temple run won’t show anything with gamegem. Please fix this issue. Which version is working now?